Pinnaplasty is the medical term for prominent ear correction, colloquially known as having the ears ‘pinned back’. Prominent ears are usually a genetic condition, and will not correct themselves naturally, meaning that the individual will usually have prominent ears from infancy through to adulthood. 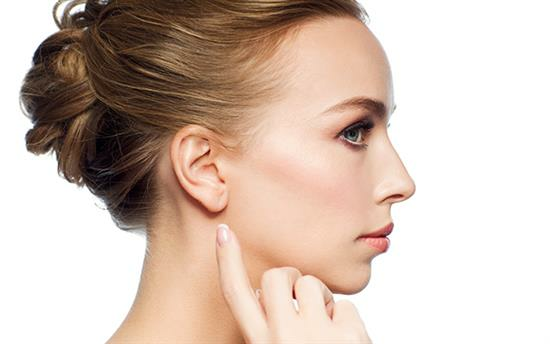 Pinnaplasty is a very straightforward procedure that can have obvious merits instantaneously. Pinnaplasty differs from any other cosmetic procedure, as it is standard practice for children as young as 5 to undergo it. Prior to this, in newborns and small children, the problem is sometimes rectified by gently taping the ears to the side of the head or by the baby wearing a ‘cradle cap’. If these methods work, there will be no need for the child to undergo Pinnaplasty. If not, Pinnaplasty is usually an effective procedure. Although children may have Pinnaplasty from the age of 5, parents are asked to consider the fact that the ears continue to grow as the ages of seven, by which time the child will probably be able to understand the procedure and cooperate with the dressings. It is not appropriate to operate before the age of 5 since at a very young age the cartilage of the ear is very soft and pliable which means surgery may not be effective. Pinnaplasty is not just for children since for a myriad of reasons many adults have prominent ears that have never been corrected, and it can be a source of great insecurity particularly in adulthood. The good news is that, regardless of age, pinnaplasty has a high success rate with very little risk of complication. Pinnaplasty can be carried out under local and general anaesthetic, but general anaesthetic is most appropriate for children undergoing the treatment. The surgery takes around an hour and a half and is carried out as a day case, meaning there is no overnight stay in the hospital required. During the procedure, incisions are placed behind the ear, through which the cartilage is accessed. The cartilage is remodelled and sutures are used to permanently reposition the ear. Occasionally, part of the cartilage might need to be reduced, but this is incredibly uncommon. Any discomfort you may feel after the surgery will be mild and manageable. You will be expected to wear headdresses for at least one week, after which the stitches will be removed. You should sleep upright for a few nights, and wear a sports headband for six weeks after treatment.Although you might experience some bruising or swelling for a couple of weeks afterwards, it should not last long. Once it has subsided, the effects of the Pinnaplasty should become obvious immediately. If you are unhappy with the size of your ears and feel that they stick out, book a consultation with Mr Chana to discuss your options. Chances are, it will be a case of a straightforward Pinnaplasty procedure, which will quickly show the results you want. Mr Chana will be able to provide you with a lot of information on the treatment, as well as answer any questions and address any concerns you may have. At your consultation, you can discuss anaesthesia and voice any preference you may have, too.